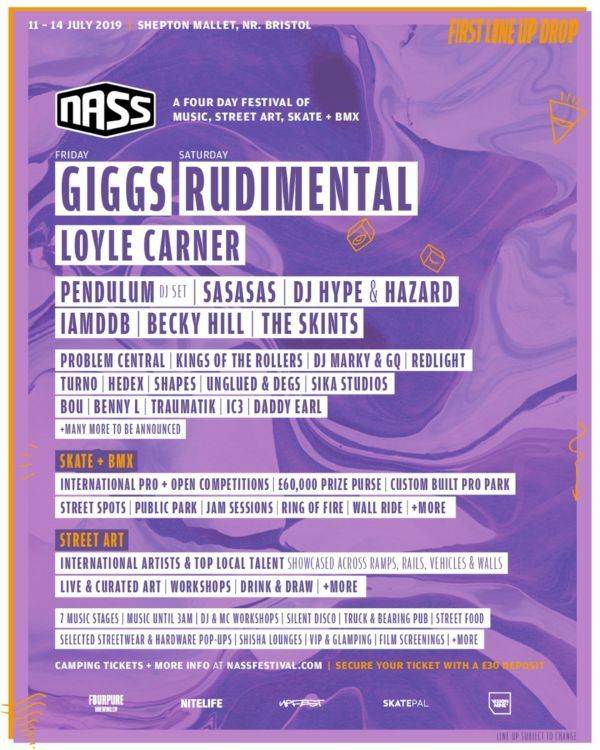 The wave of artists have been announced for NASS 2019, including headline sets from one of the most influential and important rappers to emerge from the UK Giggs (Friday) and the be BRIT-award winning collective Rudimental (Saturday). Other acts announced include Drum & bass legends, Pendulum, hip-hop” South London wordsmith Loyle Carner, soulful hip-hop, jazz-infused sound of IAMDDB. 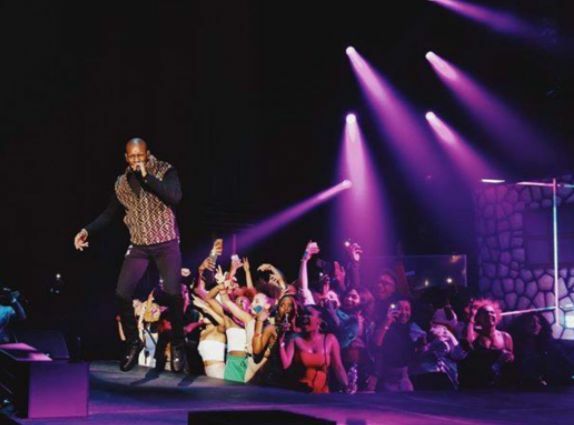 Also added to the bill are jump up supergroup SASASAS plus DJ Hype & Hazard, hitmaker Becky Hill, and Kings of the Rollers. NASS takes place from Thursday 11th - Sunday 14th July at Shepton Mallet, in addition to great music across seven stages NASS plays host to the world’s top BMX riders and skaters plus epic, imaginative street art creating an atmosphere like no other. Tickets are priced from £130.00 plus booking fees, to book visit the NASS website.